He declared this as undeniable proof that pie was the greatest dessert ever. While pie is quite good, that wasn’t the point. 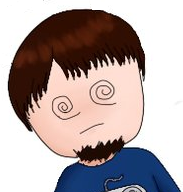 After backtracking a bit, that site was the gateway to Phoenix Wright and the Ace Attorney series for him, myself, and countless other people. We did some research, and after discovering there was an actual game, and on top of it, one that was released in English, we were both left happy and sad at the same time. 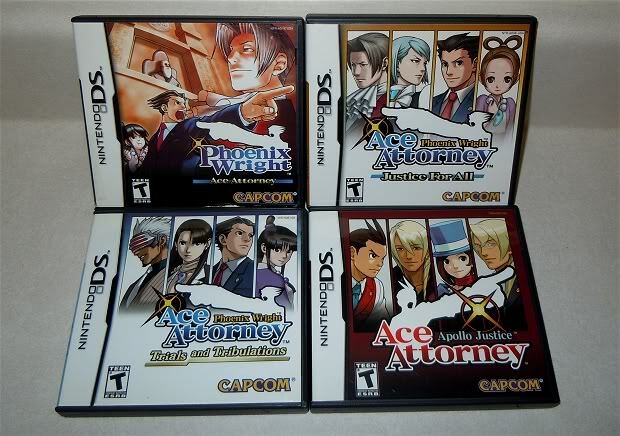 The problem was, the first game, Phoenix Wright: Ace Attorney, was released in such limited quantities that places like eBay and Amazon were fetching quite the pretty penny for it. Even GameStop, the purveyors of stupidity on hard to find games, were selling it at around $35. However, after a stroke of luck, I managed to find a copy at a local flea market months later and got it for a steal price of $15. Eventually though, due to the popularity and demand from the fans, Capcom was nice enough to re-release the game. This was followed by two more games in the original Ace Attorney trilogy: Justice for All and Trials and Tribulations (both released in January 2007 and October 2007, respectively). Eventually two more games involving the characters would be made, Apollo Justice: Ace Attorney and Ace Attorney Investigations. So why aren’t I including those two games in this review? Well for one, the first three were actually all released on the Game Boy Advance in Japan, making them an actual trilogy. Two, they are generally regarded by fans of the series as the “Ace Attorney Trilogy”. And three, because they all center around Phoenix Wright, whereas the other two are predominantly focused on Apollo Justice and Miles Edgeworth. Please ignore Apollo Justice… for now. If you’re unfamiliar with the series, it’s a courtroom visual novel game that has some point and click elements. For the most part, every chapter usually goes like this. You watch the intro, you’re prepped, you meet your client, you investigate for clues, then you duke it out in court. It’s pretty standard, but the cases usually can take anywhere from an hour and a half to as long as four hours in some circumstances. There are no “revolutionary” graphics, or “odd touch screen controls” or a perfect “orchestrated soundtrack by John Williams” (although the music is quite good and mood fitting, enough for two cover albums on the selections from the games. Look up “The Fragrance of Dark Coffee” and see how many views that track alone gets). 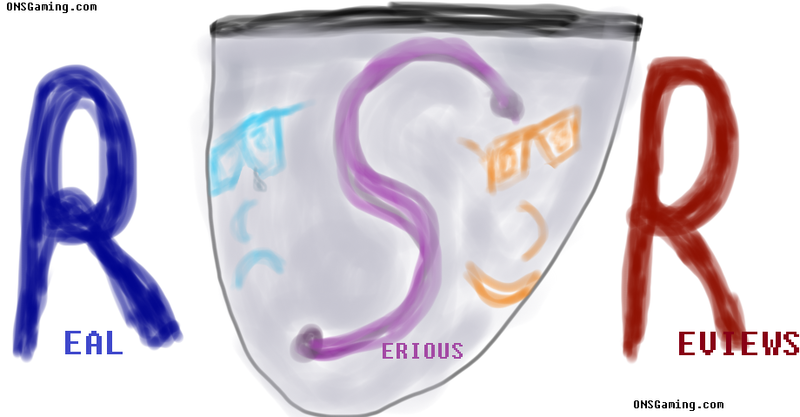 As a visual novel, the entire focus is on the story. And as far as a lot of DS, nay, games in general are concerned, the Ace Attorney games capture this spirit perhaps better than any game series I know. The characterization is off the charts, the story is compelling, and moving (even after the slight supernatural elements are involved), the amount of empathy the game makes you feel for some of the victims, the defendants, everyone involved, is just top notch. Capcom really did well with this series and it shows. As far as visual novels go, this might be the penultimate example. Even more so than the Fate series or recently, anyways, Katawa Shoujo. From the moment I popped in the first game, I was hooked. Every case pulling you in, making you think, making you gasp in surprise at every twist and turn (and there are a lot, trust me), the way the prosecution fights back to disprove what you thought was the turning point in a trial. Are there cases that are just droll and boring? I’m not going to lie, there are a couple I really wish I could have skipped, but in the end after they were done I felt satisfied. After I had completed the first game, I waited a while to play the second. The impression it left on me was pretty grand, and really anyone who truly immerses themselves in their games will feel it. The second one doesn’t hit as hard as the first, it’s probably the weakest of the tree games. However, the third game is quite possibly one of the best games I’ve ever played. After putting it off for quite some time, I actually finished it last week, so you’re getting my thoughts almost as fresh as possible here. Looks a little frightening, doesn’t it? Nothing could have prepared me for this game. If you haven’t played these games yet, I stress that you play them in order. Ofttimes it doesn’t matter if you play a series out of order. Grand Theft Auto is a good example. Assassin’s Creed is another. But these, you must play them in order for the full effect. And no reading the spoilers, either. I have taken careful steps to avoid spoiling anything for you in this review. The game mixes cases of the present with past cases in the story’s timeline, and builds up to the final case of the trilogy. The feelings you feel while playing the game are kicked up to 11, Capcom really did a tremendous job making you ride the waves of emotion through the five cases of Trials and Tribulations. 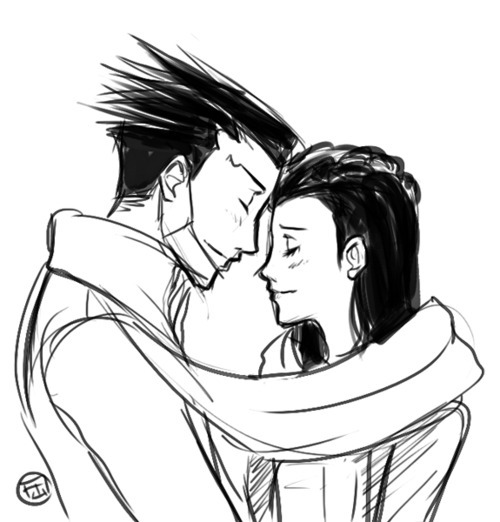 And finally, when you complete Bridge to the Turnabout, you might very feel what I felt. A combination of relief, sadness, happiness, yearning, and bewilderment. Just wow. It was powerful. I won’t say I cried, but I could feel it coming on until I got a drink of cold water. I’ve only felt that type of emotion three times in a game: 1) At the end of Crisis Core, 2) After the Fate ending of Fate/Stay Night and finally, 3) At some of the endings of Katawa Shoujo. That’s not to say that game is all serious all the time, though. The writing, as to be expected in this time of game, is outstanding. There are pop culture references pulled from the most odd of places and slipped in. One memorable line is when one of the character straight up quotes The Rock by saying “Know your role and shut your mouth”. These sorts of one-liners are slipped in all over the game and ease the tension you feel, especially in the latter two games where you have a health bar during the investigation as opposed to five strikes or “penalties” in the first game. I also mentioned that the game features “supernatural” elements. The series is believable with the exception of these, and even these elements don’t take away from it. You’ll come to dislike the psychelocks though, all they are, are busy work. Usually with a big payoff, but man can it become a little tiresome. The Ace Attorney trilogy is one of the finest set of games I have ever played. Everything was meticulously thought out, and it’s a surprise considering they made the first game unsure of whether or not there was going to be a sequel. The soundtrack? Excellent, captures the mood of every situation perfectly. The touch screen controls? Well integrated, and most of the time optional. The ability to use the mic? 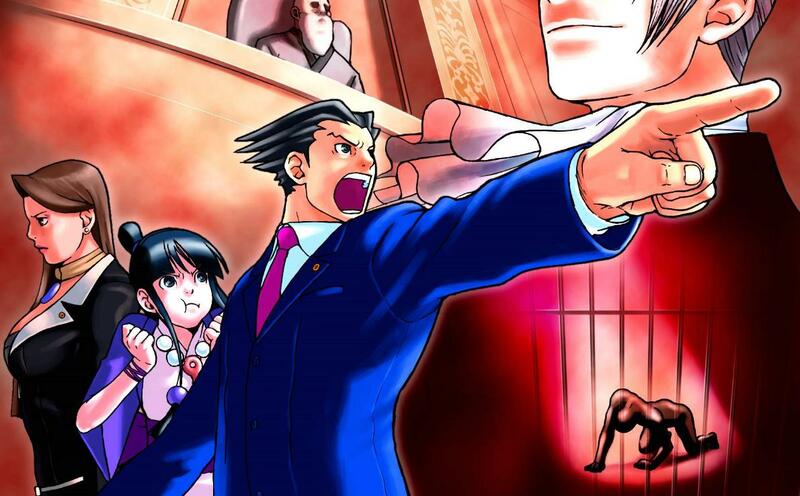 Compelling as all hell, shouting “Objection!” and “Hold It!” is arguably the funnest part of the game. The characters? Relatable and funny, you feel something when a problem arises for one of them. And the story? There’s no need to go over it again, the evidence in this review speaks for itself. If you own a DS, buy these games. They aren’t expensive. They are a must play. A more cost efficient option (other than the obvious, which I won’t mention), is the iOS port, which you has all three games for $17. That’s about the price for one of them online or at GameStop. I promise, you will not be disappointed. In the future the last two games will definitely be reviewed, but for now, let me ride out the high of having finally completed one of the genre’s premier series. You really are the person I always thought you were. Even after she was found guilty… I still believed in you.